Recently, Israel celebrated the holiday of Purim. For those familiar with the Bible story of Esther, it's the celebration of a Jewish queen of a Persian king who saved her people. Well, maybe. In modern Israel, Purim is more like Halloween. There are costumes, parties, and of course lots of sweets. In particular, there's a date cookie called ozenaim haman (Haman's ear) based on the villain from the story. They're delicious. From a student perspective, the most important thing about Purim is that Purim is a day off from classes. So, what to do over a three day weekend? How about a four day hiking trip? There's a trail in Northern Israel called the Jesus Trail that wanders from Nazareth to Capernaum over 60 kilometers (that's 40 miles) of gorgeous Galilean countryside. It travels past important sites in Jesus' ministry, such as the town of Cana and the Mount of Beatitudes, as well as historical sites from the Crusader and Roman periods. Spring is a beautiful time for hiking in Israel (yes, spring has already sprung here, sorry to those still stuck in the snow!) The weather is warm, but not hot, and all the wildflowers are in bloom. And, if you want to hike 20 kilometers a day, you can see all the wildflowers and some of the sites in one long weekend. If you hurry. 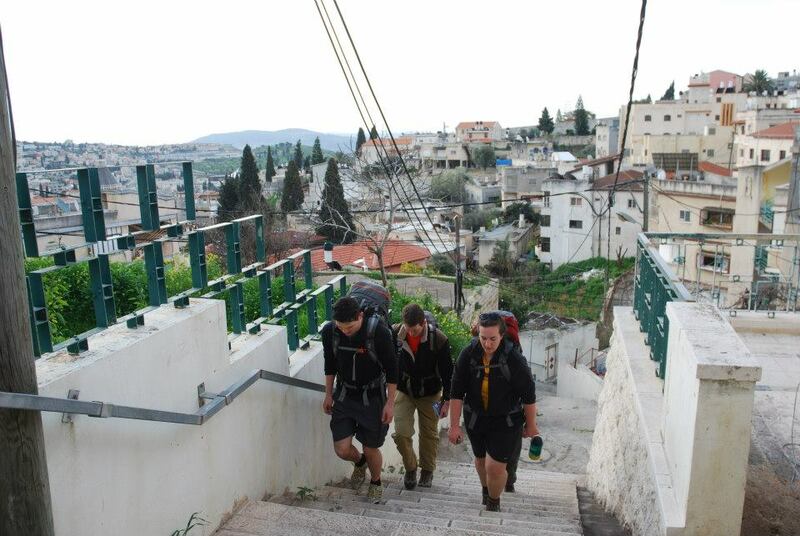 We began the hike in Nazareth. It's a predominately Arab town, which means that you see more signs and overhear more conversations in Arabic than Hebrew. It's a change that you notice right away, and despite the fact that all the signs also have Hebrew characters on them, you almost feel like you're in a different country. It was my first experience in an Arab city in Israel, and it's definitely something I'd like to do again. We started off through Nazareth from the Church of the Annunciation of Mary, where I was surprised to run into a tourist group from St. Cloud, MN, who had something to say about my Gopher hockey t-shirt, and a tour guide who insisted I couldn't enter the church with my backpack only after I mentioned I didn't want to go in. Go figure. With that bizarre start, we walked through the city shuk (market) just as it was opening for business, working our way up the side of the mountain and out of Nazareth. but the view was pretty great! From Nazareth, we hiked to Cana, where we saw some churches, but they were closed. Typically, this is the first day of the hike. We decided to keep going so we could see it all in three days. We hiked through beautiful countryside all afternoon. 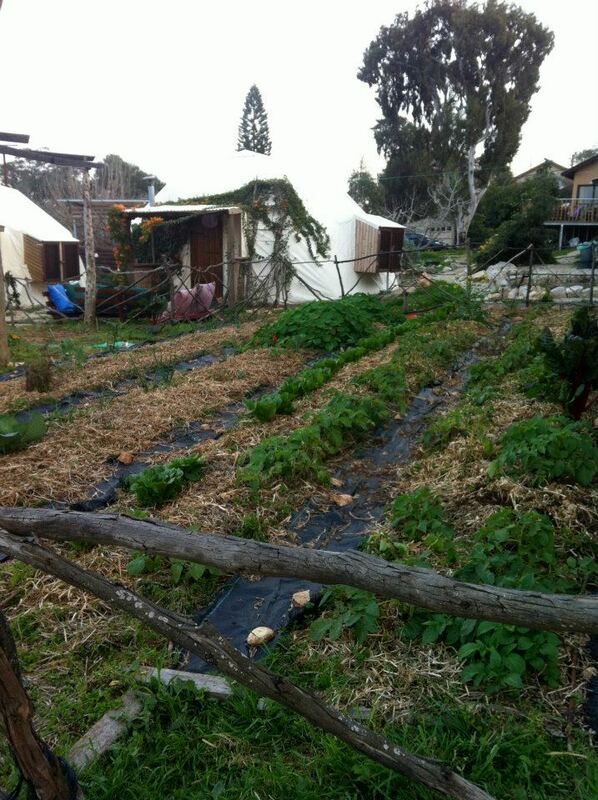 I especially enjoyed all the green, which we don't have much of in Beer Sheva, even in the rainy season. And, of course, the wildflowers. By late afternoon, with tired feet, we began to daydream about our plans for the evening. We were staying in a geodesic dome on an organic goat farm. We couldn't wait to arrive, pet some goats, curl up in our dome and get some rest. look how cozy it is! Day 2 we ventured onward, seeing the remains of a Roman road, a hillside where the Crusaders made one of their final stands, and lots of wandering livestock. Yet as we passed grazing cows and open fields, I began to wonder if I had been transplanted back to the Midwest. We ended Day 2 near the foot of Mount Arbel, and the landscape no longer reminded me of home. 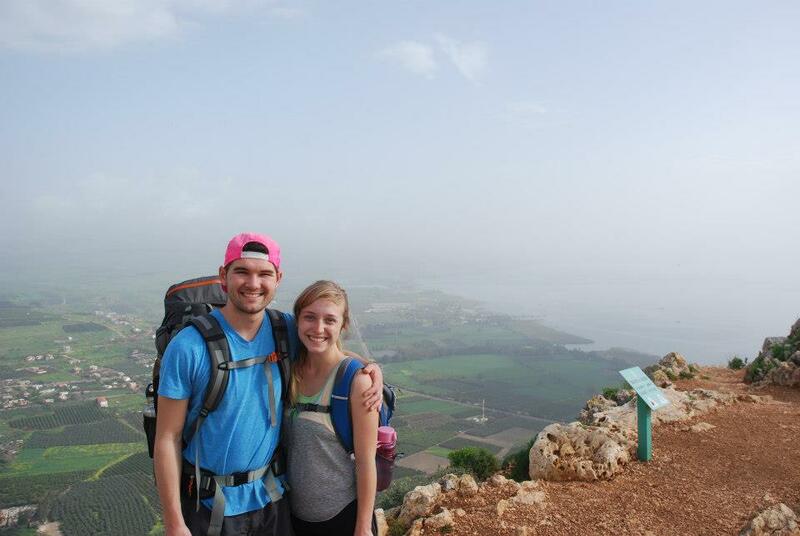 Day 3 we climbed down the cliff face of Arbel and got our first glimpse of the Kinneret (Sea of Galilee). It was easier this time around, since we weren't doing it in the rain (to see pictures of climbing Mt Arbel in the rain, check out my blog post from October). 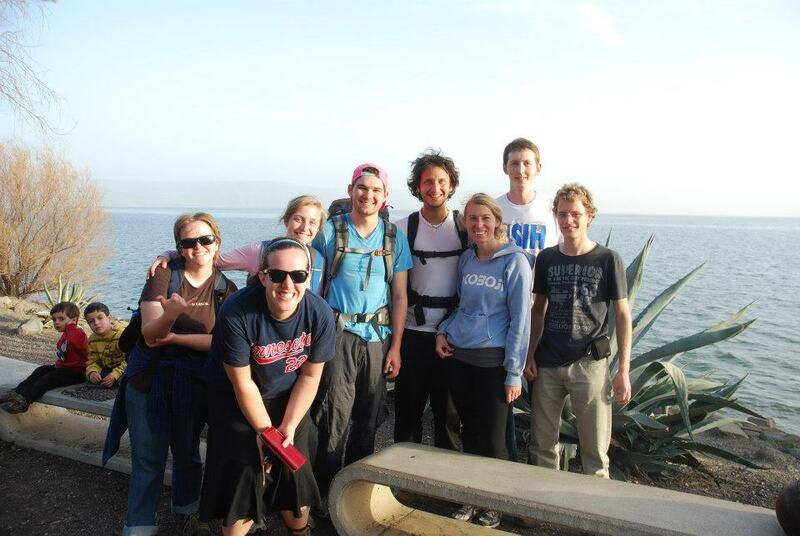 We finished the hike in Capernaum, checking out Peter's house and the eight churches that have been built over it. It's one of the few historical sites I've seen in Israel that hasn't been glamorized, fought over, or disputed. While a simple structure, that made the moment that much more powerful for me. We made it! 40 miles in 3 days! Many thanks to the Dittys for the pictures in this blog post that you let me steal!